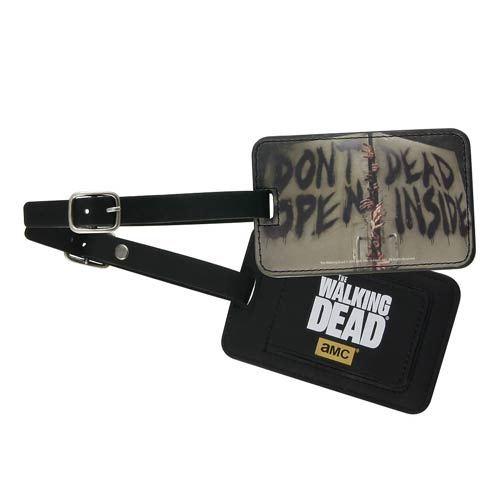 Shopping for Walking Dead Luggage Tags? Warn people about what's in your luggage! The Walking Dead Don't Open, Dead Inside Luggage Tag will keep anyone from snooping inside of your stuff from fear of an attack by Walkers! Luggage tag has been made from faux leather. Ages 12 and up.